When it comes to Summer, perhaps the most beautiful of this seasons flowers are peonies. We have captured their beauty in this classic arrangement Vintage peony. A bouquet bursting with enchanting colours arranged with Bernard peonies and soft Memory Lane Roses. 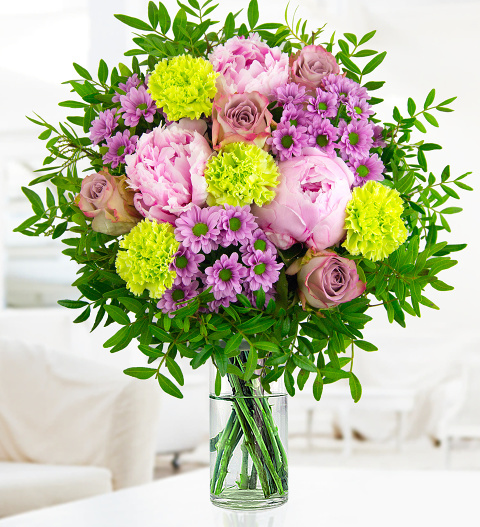 The bouquet is accented with carnations and beautiful zantini chrysanthemums with forest fresh pistach. A lovely gift perfect for anyone. Chocolates may contain nuts.